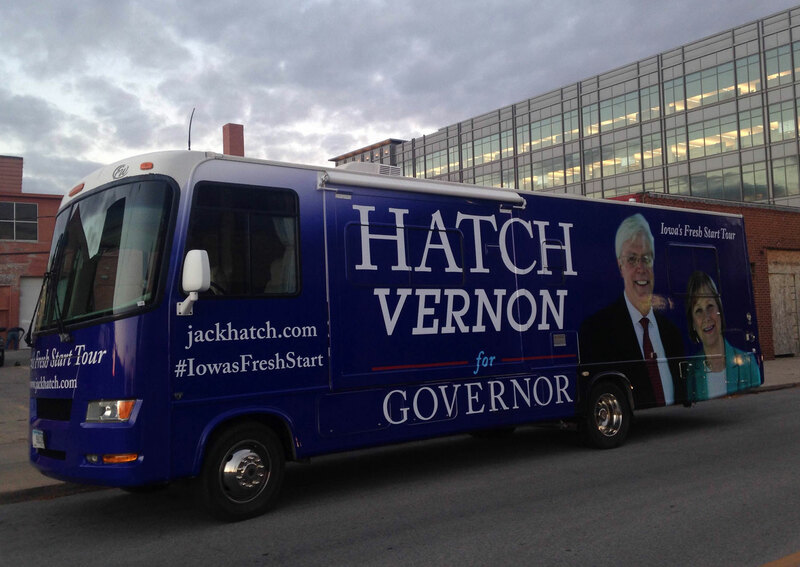 Democratic gubernatorial candidate Jack Hatch and his running mate Monica Vernon kicked off a 37-city tour of the state with a rally in Des Moines last night. 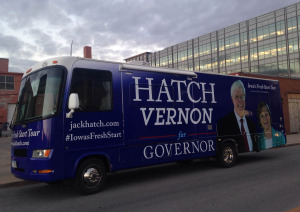 Hatch embraced the underdog role in his race against Republican Governor Terry Branstad. 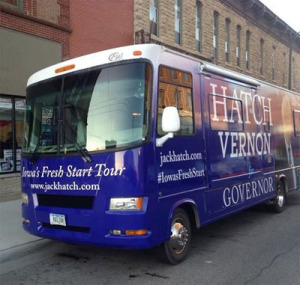 Hatch gave a brief speech, mentioning his top priorities of state-sponsored preschool for all four year olds, raising the mandatory school attendance age to 18 and taking steps to improve water quality and prevent soil erosion. During last night’s rally a local performer sang his version of a song that he joked was titled: “End the Reign of Terry”. 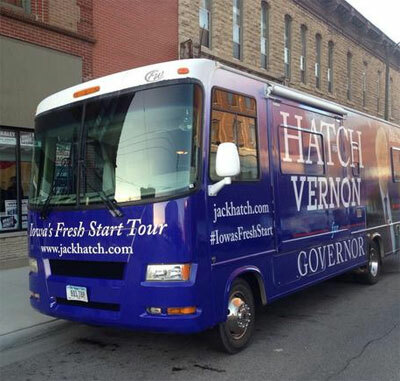 Photos courtesy of the Hatch campaign.